For IPD, I thought I would put out a Quick Hit on the regular PHD feed. If you would like to continue to get these short 1 topic episodes from time to time, subscribe here. 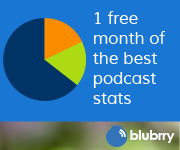 They are normally 5 minutes or less and a single topic of interest to podcasters. I only put them out when I have some news or a topic that is getting on my nerves. Could be a lot some weeks and maybe not so much other weeks. This quick hit is about dangerous web players. I have a client who put a SoundCloud Player on their company website and when the audio of the podcast was done, the player kept playing random stuff from SoundCloud. Some of that random stuff was heard by this person’s boss and they were nearly fired. 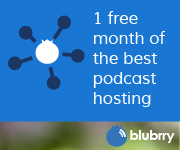 They came to me to move to the Blubrry platform only after I convinced them that Blubrry (and all the other reputable podcast hosting companies won’t do that). So beware!